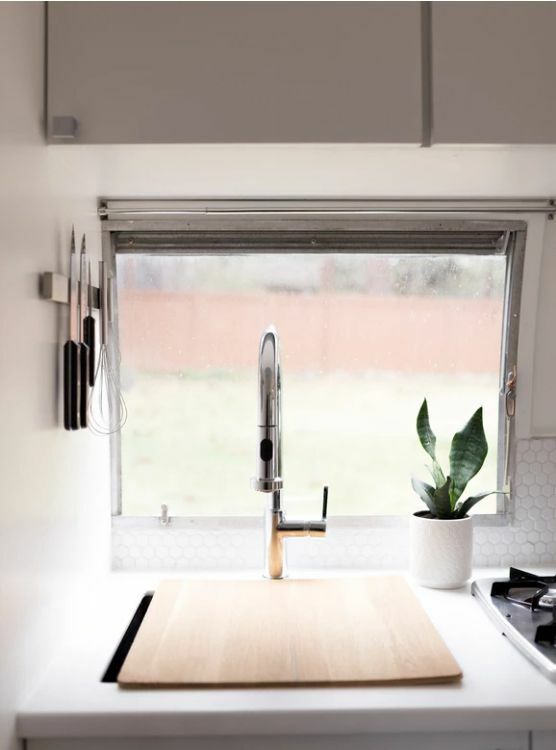 Oregon-based Mountain Modern Airstream helps tiny-home lovers source, gut, construct and polish the Airstream home of their dreams. 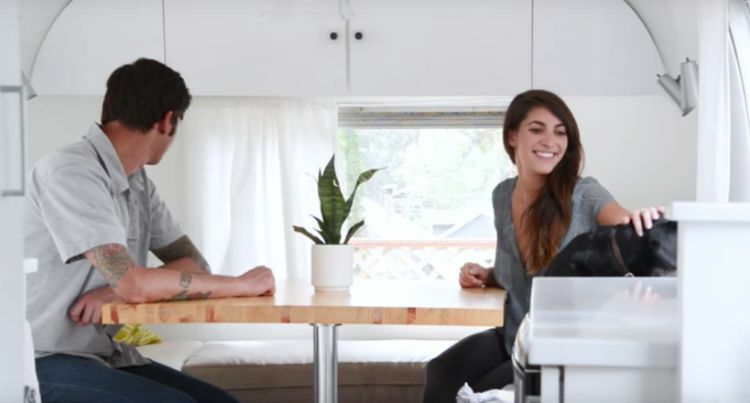 But before they were a full-service design firm, Damian and Anna were just a Craigslist-surfing couple looking for their perfect Airstream. Along came Gilda, who was parked 280 miles down the Oregon Coast. 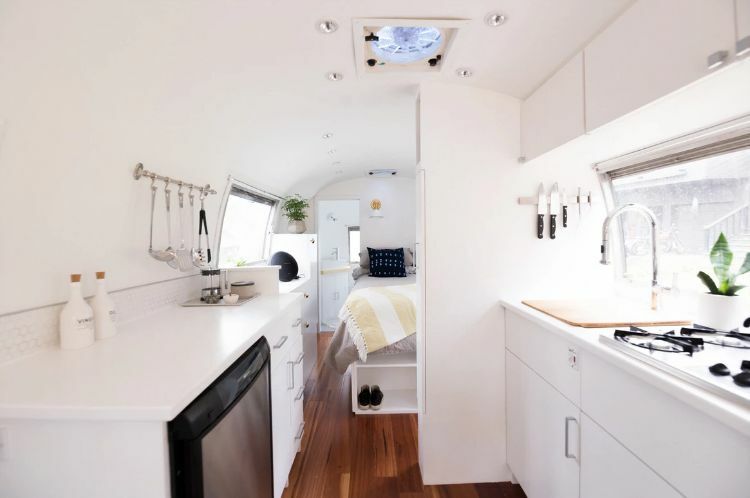 Gilda arrived one day on a flatbed, and the duo began the process of gutting and restoring the 1966 26-foot Airstream Overlander back to its former glory. Thus, a business was born. 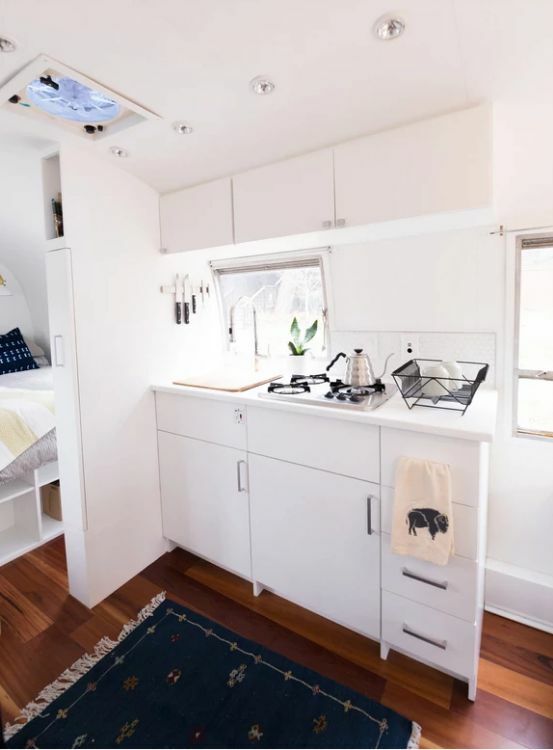 Completely stripped, Gilda offered a blank slate for Damian and Anna, who decided to create a space that could sleep four, offer plenty of storage and be a functional layout that flows like a home. They installed new interior skins in a crisp white for a clean shell. Throughout, Puck Lights from Home Depot light the home when sun isn't streaming in through expansive windows on both sides. 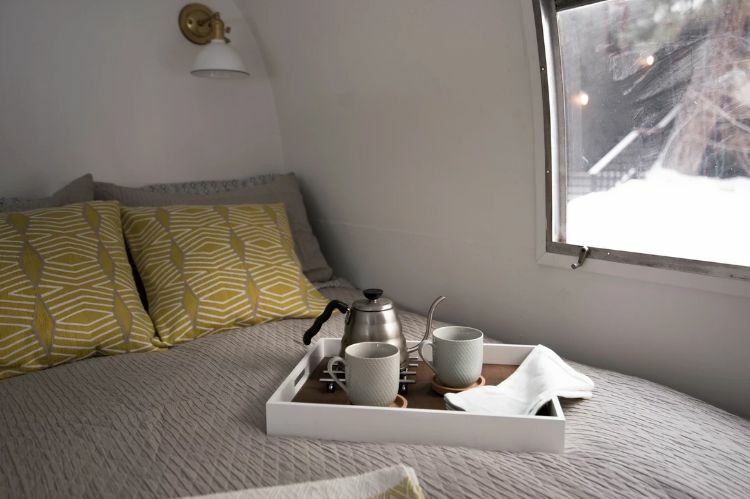 In the front of the Airstream, a custom dinette offers room for four to enjoy a meal or morning coffee. A Garelick Adjustable Table Base telescopes down so the dinette can extend for a spare sleeping space. The kitchen features an Atwood Stainless Steel cooktop and hexagon backsplash from Julian Tile for style and functionality. Ample cabinet space is accented with sleek silver pulls from Liberty Cabinet. The sink features a La Toscana pull-down faucet from Home Depot. When the sink's not in use, a small butcher block inset covers it to create extra prep space. Toward the back of the Airstream, brass sconces found on Etsy light the master sleeping space. Next to a large window, the spot is the perfect place to enjoy breakfast or coffee in bed and start the day on the right note. 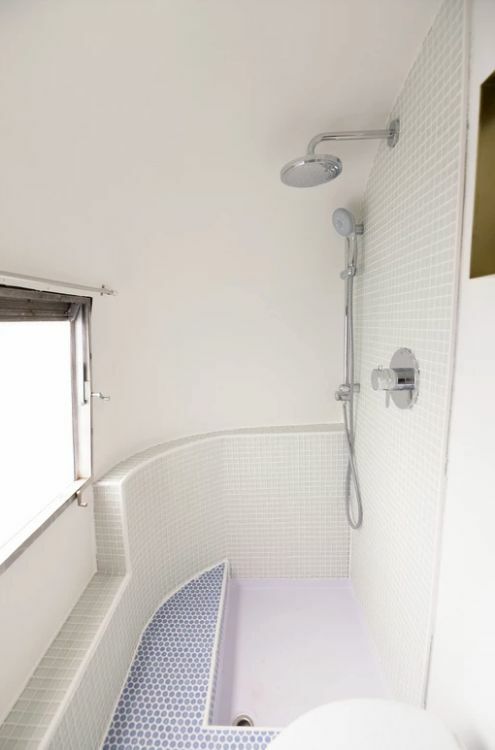 The bathroom features a Grohe shower system surrounded by American Olean glass square tiles. Blue penny tiles offer a colorful accent. The bathroom also features a Nature's Head compostable toilet.